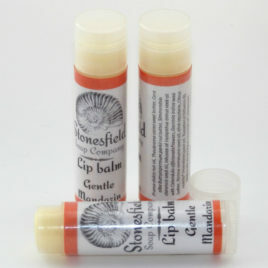 All the flavours used are natural: either essential oils, natural flavour oils or natural plant extracts. 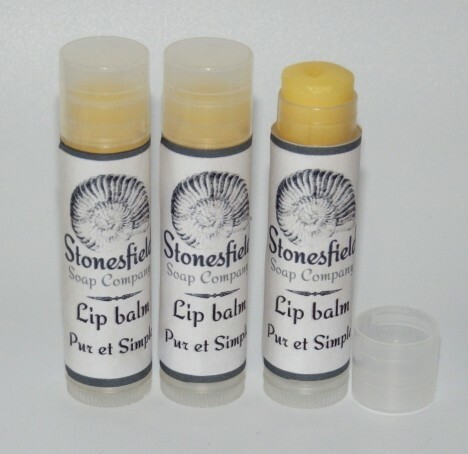 Our lip balms do not contain lanolin or any petroleum derivatives. 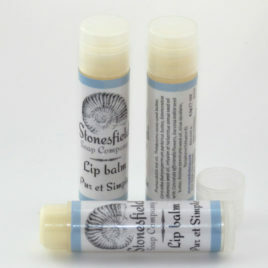 Each balm comes in a twist-up tube. 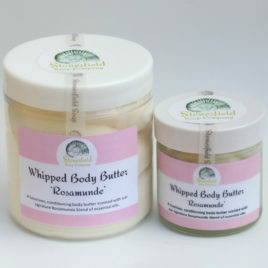 Whipped Body Butter: Rosamunde This light body whip is rich in mango butter, a fabulous emollient that moisturises the skin without leaving it greasy. 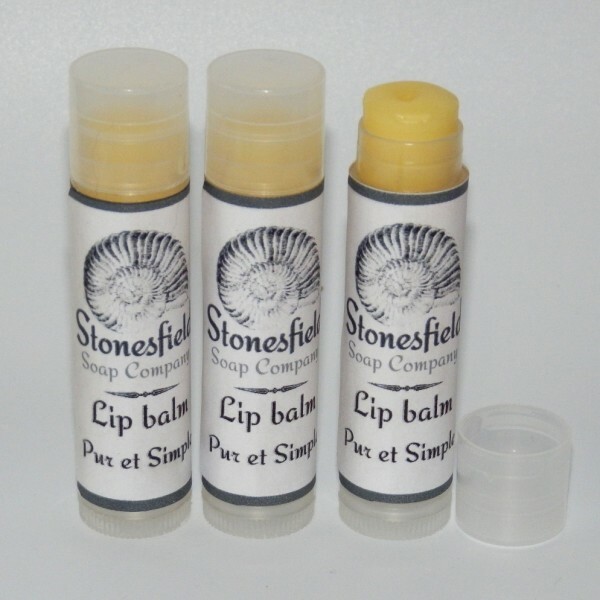 Adding their own special properties are macadamia nut oil (wonderfully moisturising and especially good for mature skins owing to its high levels of Omega-7 palmitoleic acid) and hazelnut oil, which is perfect for helping to treat dry skin. The aroma - Rosamunde - is our unashamedly feminine blend of essential oils that includes rose geranium, ylang ylang, lavender, rosewood, cedarwood and rose absolute. The 150g size is sold in a clear PET jar.